Ampeg is a powerhouse in the bass industry, and has grown to be one of the most well-respected brands among bassists — and for good reason. 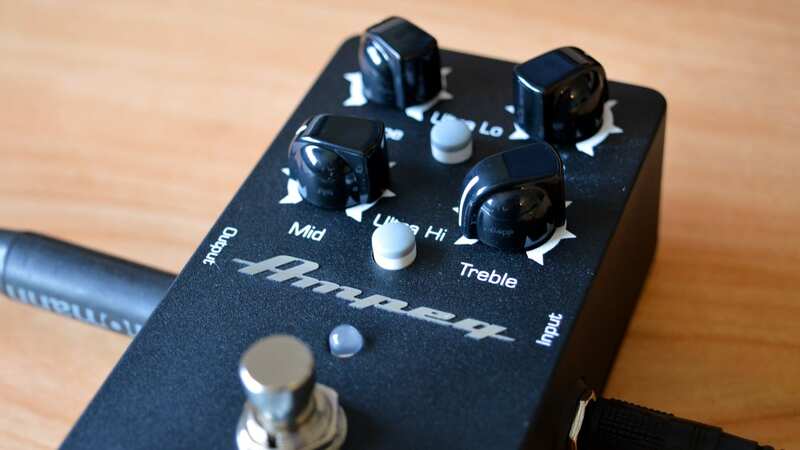 The company is largely known for its amplifiers, but it recently launched a few new pedals as well — including the new Ampeg Classic analog bass preamp pedal. The Ampeg Classic preamp comes in the form of a stompbox — making it a great choice for those looking for a good compromise between quality and portability. But is it worth the $100? We put it to the test to find out. The Ampeg Classic analog bass preamp features a very similar design to the Ampeg Scrambler, which we reviewed a few days ago. It offers a cast metal housing, and a black color scheme, which is very sleek. On the pedal, you’ll find a total of four knobs — volume, bass, mid, and treble — and as you can probably tell, the pedal acts kind of like a three-band EQ. The pedal also offers two buttons — “ultra lo” and “ultra hi,” which offer a little more tonal flexibility with that EQ. 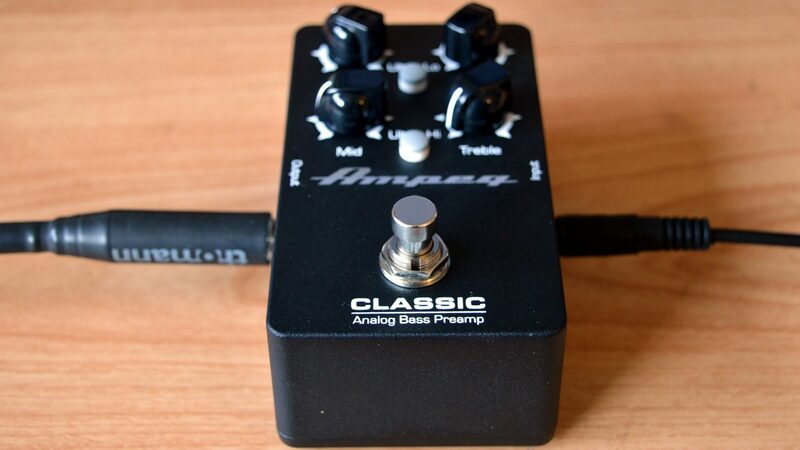 In general, the Ampeg Classic analog bass preamp is well-designed, strongly built, and easy to use. Even amateur bassists should have no trouble finding their way around this pedal. Of course, the most important thing to consider is how the pedal sounds, and it sounds great. The frequency control knobs give tons of flexibility over the overall sound of the pedal, and in general you can really shape your sound to however you want. 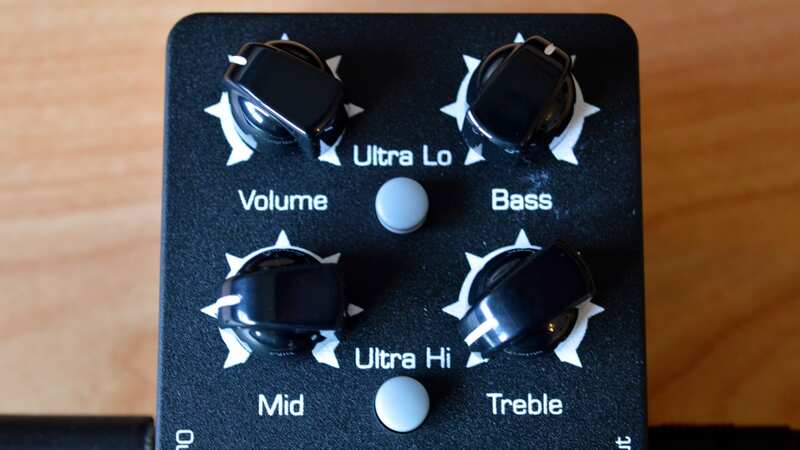 You can set the pedal up to be super basic, bringing only small tweaks to the table, or you can really sculpt the sound of your bass to totally change it into something new. The knobs in general are pretty responsive too, and even small movements can have an impact on the overall sound that’s produced. Using the Ampeg Classic analog bass preamp pedal, you can do more than just sculpt the EQ of your sound — you can also easily push the volume knob to give your tone some of that grit you might want from a preamp. It’s a good way to give your bass a little extra crunch without moving fully into overdrive territory, and it sounded great in our tests. The pedal is generally quiet when you’re not playing, which is good, and the circuit is true bypass, so you won’t need to worry about messing up your tone when the pedal is off. A good preamp can be hugely helpful in any bassist’s setup. While a more comprehensive solution might be appropriate for studio use, the Ampeg Classic analog bass preamp is a perfect solution for those on the go and for practice situations. You can get the pedal for yourself using the links below.